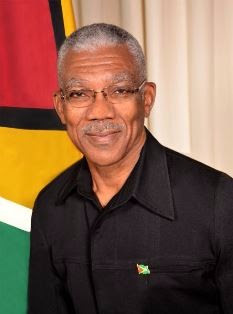 This impassioned plea for closer unity within CARICOM was issued by outgoing Chairman, His Excellency David Granger, President of Guyana in his address to the opening of the 38th Regular Meeting of the Conference of CARICOM Heads of Government. His message Tuesday evening at the Grenada Trade Centre, in Grand Anse, paralleled a similar charge by Heads of Government 28 years ago to deepen the integration process in response to the emerging geo-political order of that time. Within the current international environment, replete with uncertainty and complexity, President Granger warned that the efficacy of the Community’s international advocacy could be impaired if efforts at coordination among the four pillars of CARICOM were weak. Underscoring the critical need for unwavering solidarity at this time, he said global and hemispheric uncertainties spawning changes in the policies of the United States, United Kingdom, the European Union and the African Union in relation to the African, Caribbean and Pacific Group, necessitated a state of readiness for the Community to preserve and negotiate its interests. In the poignant message to his colleagues, he stated: “The Caribbean Community cannot cling to an obsolete model of insularity in light of these international changes. The Community might be an association of small states but it is larger and stronger when it is united. It must not underestimate the value of its solidarity or its strength when it speaks with a single voice as a Community. Solidarity is a source of strength. Foreign policy coordination is the sharp instrument, the cutting edge, of our diplomacy, to gain our great advantage. We should not damage it,” President Granger said.